You can now favorite files and find them in a single location! 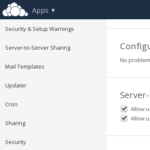 The upcoming release of ownCloud Server 8.0 is not far off and we’ve already published a post with an overview of changes developers can expect in the upcoming release. 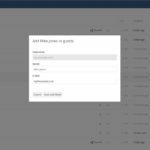 In this post, we’d like to go into an important and core feature of ownCloud: working with your files! 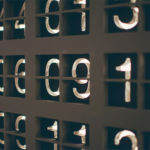 With ten thousand files or more found on a typical users file sync and share account, files can be very hard to find in a standard file system view. This release comes with two important additions to help you find what you are looking for: favorites support and much improved search! 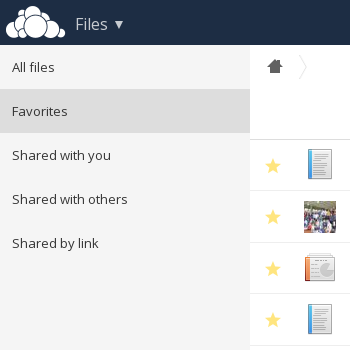 ownCloud Server 8.0 introduces the ability to favorite files in the Files app by clicking the little star in front of files. These will show up in the side bar under the ‘Favorites’ section so you can find them very quickly. This feature also includes an API for clients to retrieve and set favorites. 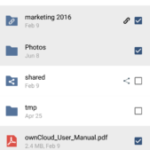 Moreover, the favorites implementation builds a foundation for additional file and folder meta data in future releases of ownCloud. To further aid you in finding what you are looking for, Search has gotten a new user interface. Instead of using the drop-down below the search field, search results are shown in the main view of apps. Results are also app-specific, so a search only shows contacts in the Contacts app, files in the Files app and so on. Last but not least, the search bar will first filter the content of the current view, appending search results from other locations on the bottom. The screenshot on the right shows this for the Files app. Search results are now presented in apps. 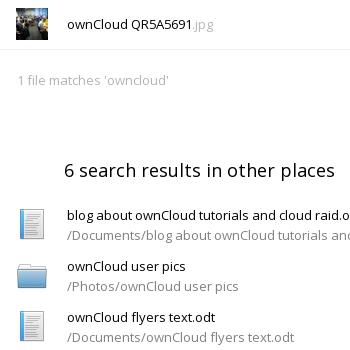 Once you have found the files you need to work with, improvements in other parts of ownCloud will become apparent. The PDF viewer was updated with better compatibility with a wider range of PDF files, the Gallery app has an improved look, keyboard accessibility improvements make it easier to handle your files, shorter sharing links make it nicer to share with others and so on. As usual, many bugs have been squashed and performance has been improved as well. 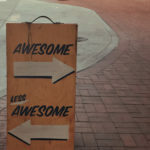 The introduction of favorites and better search are improvements to core functionality for ownCloud – getting at your files – that will have a significant impact on the user experience. But there’s much more coming in the release, stay tuned!